The city of Brighton, England is a seaside resort town located about an hour south of London. 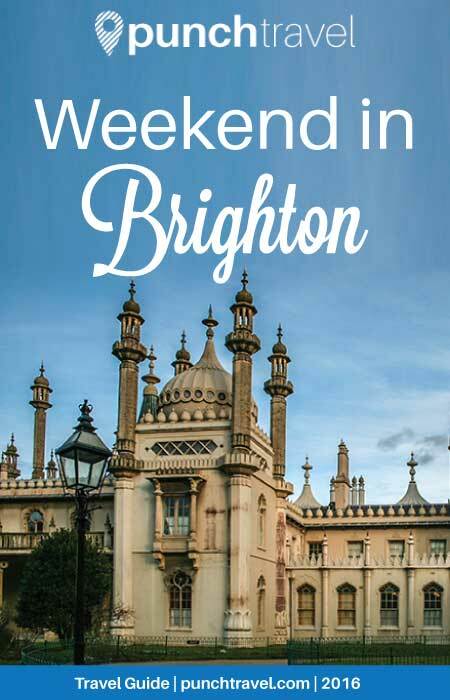 It is a popular vacation destination in the UK and there are plenty of things to do in Brighton for a fun-filled weekend. Getting to Brighton is easy when you travel by train from London. After arriving in Brighton, stop by the visitor center in the train station and pick up the National Rail’s 2-for-1 coupon book. This booklet provides discounts for a variety of attractions, activities and restaurants in Brighton and only requires you to show your train ticket. Brighton sits on the coast of the English Channel, separating southern England from Northern France. The beach is wide and rocky, and the water disappears into the horizon in all directions. In the summer, the beach is filled with sunseekers and beach chairs and umbrellas cover the shore. The iconic Brighton Pier holds the title of being the most visited attraction in the UK outside of London with over 6 million people visiting each year. But there is more to Brighton than just the sea. 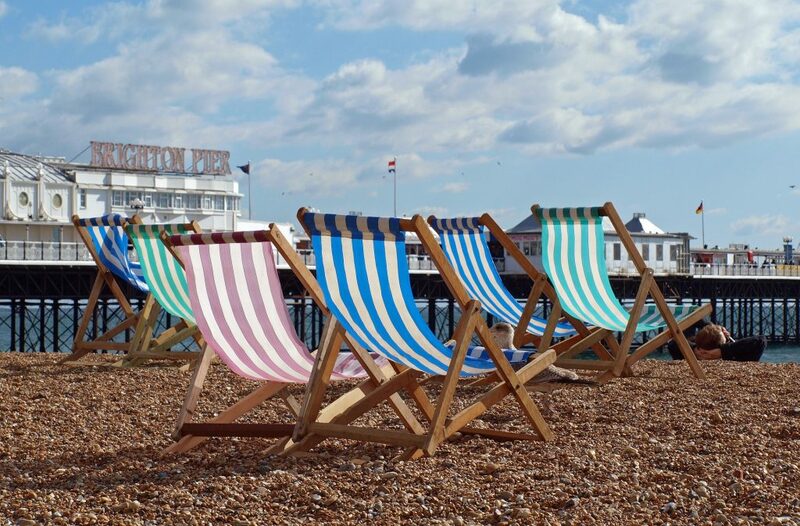 Brighton also boasts a rich history from its role as a leisure destination for the Royal Family, and is also known for its large LGBT population. Not far from the train station is North Laine, a neighborhood in Brighton that defines bohemian-chic. Quirky stores line the narrow streets selling a wide array of unique wares, from Middle Eastern pottery to Peruvian wool hats to vintage Burberry scarves. Browse the storefronts where local artisans display handmade jewelry, glassworks, paintings and photography. After that, check out what’s happening at Brighton Dome, a multi-arts venue that puts on performances in everything from music, theater, dance, comedy, literature, spoken word, film, visual arts and more. 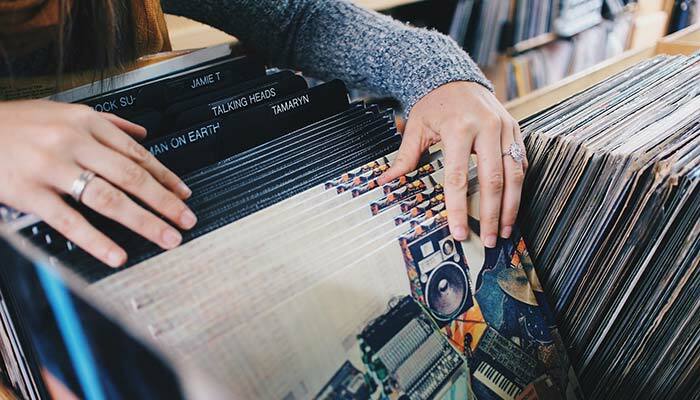 Like the neighborhood it resides in, the eclectic variety of acts that take place at Brighton Dome ensure that there is something for everyone. Check the calendar for current listings. 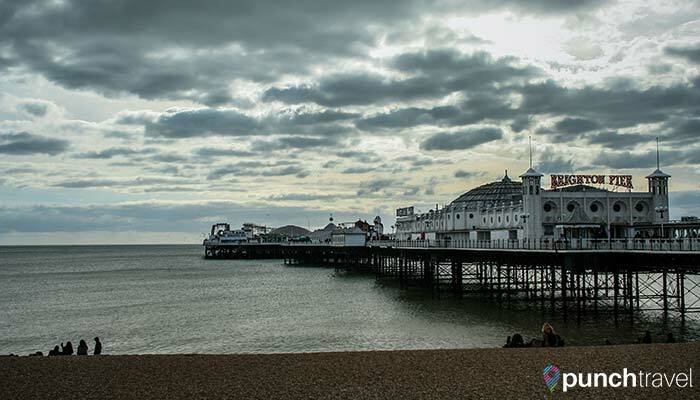 A timeless tradition since its beginnings in 1823, the Brighton Pier is a fun activity for families and for the young at heart. It’s a carnival and amusement park, complete with rides like bumper cars, roller coasters, and a haunted house. Side stall games offer the chance to test your skills to win a prize. There is also an indoor gaming center equipped with the latest arcade games that dispel tickets that you can redeem for prizes. If you are hungry, kiosks line the pier offering crepes, stir-frys, and fish and chips and a variety of the usual carnival standbys, like hot dogs, ice cream and churros. No visit to Brighton would be complete without a turn on the Brighton Wheel. The ferris wheel looms 50 meters above the sea and offers panoramic views of the coastline and Brighton’s major landmarks. 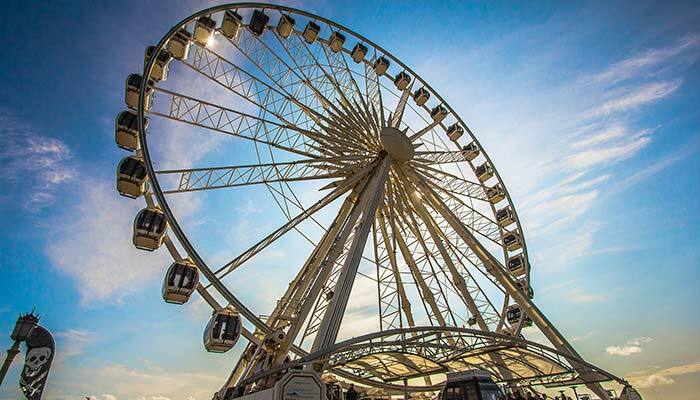 The Brighton Wheel opens every day at 10am and discounted tickets are available through the National Rail 2-for-1 offer as well as by booking in advance online. The Royal Pavilion, also known as Brighton Pavilion, is a uniquely exotic palace built for King George IV when he was Prime Regent as a vacation home. It is in my opinion, the most spectacular attraction in Brighton, and quite possibly of all that I saw while in the UK. Why? It is unlike any other royal palace in England. Don’t expect traditional European design or furniture. Instead of the usual stuffy upholstery, the Royal Pavilion is decked out in Indian and Chinese influenced architecture and style and each room is a visual feast for the eyes. Everywhere you turn is something amazing and absurd to look at, from the opulent chandeliers encircled with dragons, to the palm tree pillars in the kitchen, or the dolphin couch. Unfortunately they do not allow photos inside, and I cannot begin to describe the splendor of each room in words. It is best to experience the wonder for yourself as you step into each room. Trust me, you’ll be glad you visited. Tickets currently cost £12.30 for adults, but discounts are available with the National Rail 2-for-1 offer, or if you buy tickets online. The usual concession discounts apply as well. There are very few marked placards inside the house, so make sure to pick up a guide along with your ticket. You have several options: the comprehensive guidebook (£6), the audio guide (£2) or the highlights pamphlet (£1). Either of these mediums will suffice, but do make sure to pick up at least one, because otherwise you will be left lost and very curious. If you need a break, pause in the Royal Pavilion Tearoom on the second floor. 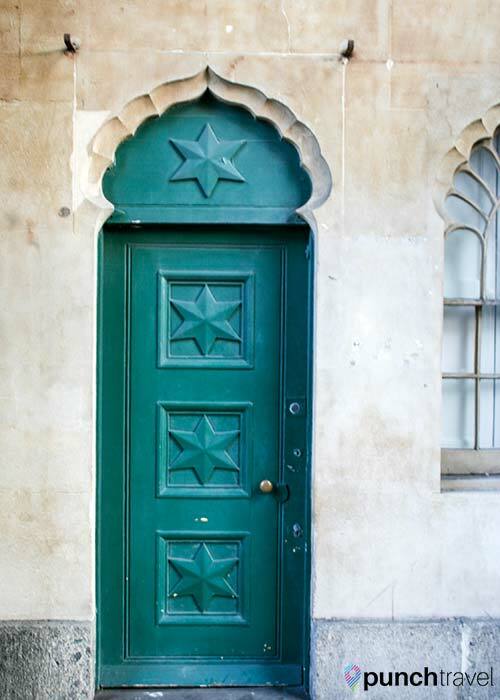 It overlooks the Royal Pavilion Gardens and is the perfect place to have lunch, afternoon tea, or simply enjoy a cup of coffee and imagine what life would have been like living in such a magical place. Spend the morning shopping and browsing the storefronts in the vibrant area known as The Lanes. Trendy clothing stores are mixed in with shops selling whimsical greeting cards and other trinkets. When you’ve had your fill of wandering through the streets, pop into one of the many coffee shops or restaurants and for a bit of people watching from your window seat. Check out the popular vegetarian restaurant, Food for Friends for fresh and locally-sourced food in a casual dining environment. The restaurant also caters to vegan and gluten-free diets, and non-vegetarians can eat their fill. 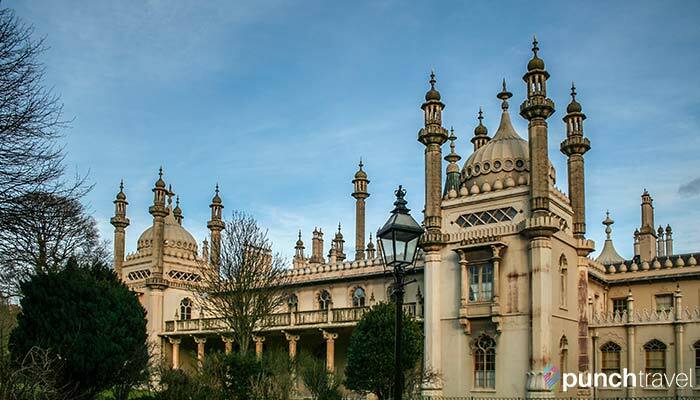 The Brighton Museum and Art Gallery located next to the Royal Pavilion houses a collection of artifacts and artwork from a wide range of sources. 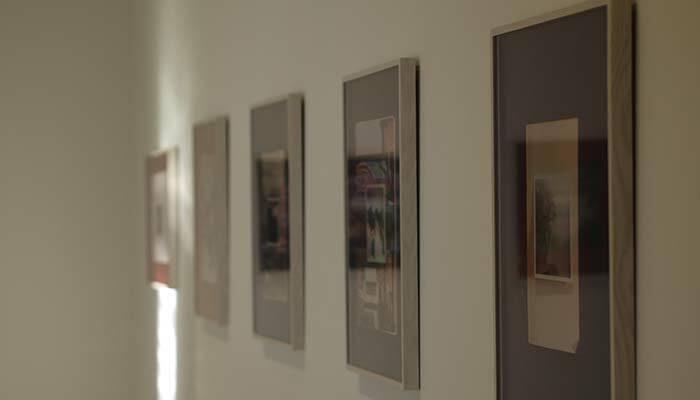 Exhibits include 20th century art and design, fashion, and an extensive assembly of fine art. Also on display are artifacts that show evidence of communities in Brighton as far back as 5,500 years ago. Tickets are currently £5.20 and can also be bought in the History Pass package with the Royal Pavilion and Preston Manor for £15.